Winner of two regional book awards and overwhelming praise, this haunting first novel about the mysterious death of a young Indian dancer is a stunning portrayal of the spirit and struggles of the Southwest's native peoples. Even today, amid the sere hills of Arizona and New Mexico, the Navajo believe witchcraft is at work. Some suspect it is the unseen force behind the brutal murder of Bernadette Lefthand, a young woman renowned on the Jicarilla Apache reservation for her beauty and graceful dancing. Others suspect Bernadette's hard-drinking husband, Anderson George, who has inexplicably disappeared. Gracie, Bernadette's teenage sister, tries to make sense of the vortex of doom in which the young couple seems to have been caught, while Bernadette's Anglo employer, Starr Stubbs, and an unnamed stranger reveal a tale of betrayal and tragedy. 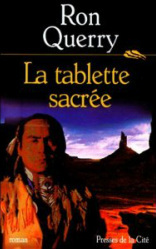 In prose rich with the rhythms and colors of the desert highways, Ron Querry--a member of the Choctaw Nation--paints a vivid portrait of the lives of contemporary Native Americans. A riveting tale of passion, obsession, and destruction, The Death of Bernadette Lefthand is a compelling novel about heritage, family, and the dark magic of the twisted soul. 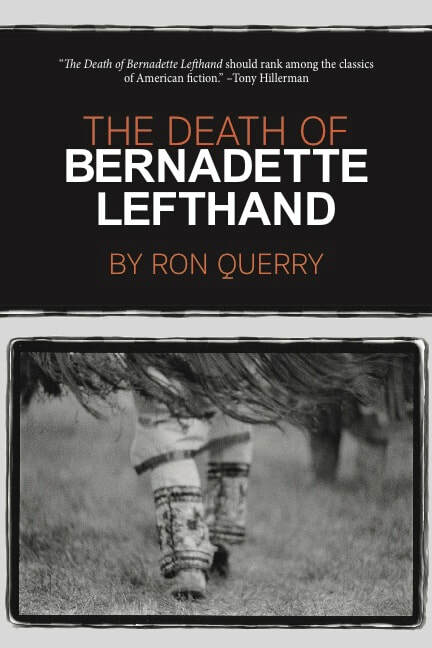 "The Death of Bernadette Lefthand should rank among the classics of American fiction." I SEE BY MY GET-UP . . .
A memoir first published by the University of New Mexico Press and later by the University of Oklahoma Press, a slightly updated edition is now available as an ebook at amazon.com/kindle. The book describes Querry's escapades as a university professor (at the University of Oklahoma) turned ranch-hand and cowboy in east-central New Mexico, and his courtship and marriage to his wife, Elaine. With a humourous Foreword by noted writer and playwright Larry L. King (The Best Little Whorehouse in Texas) and photographs by Elaine Querry. "When Ron Querry lost his job at the University of Oklahoma, he took up ranching, armed with a Ph.D. and a pair of tender feet. This is his account of his ranching career in New Mexico, in the course of which he married the beautiful lady rancher next door and learned the twenty-four-hour-a-day job of dealing with a herd of stubborn cattle as well as assorted dogs, cats tumbleweeds, rattlesnakes, and neighbors. "The Querrys and their animals survived their hardscrabble existence almost in spite of themselves. Ron's stories of their misadventures are warm-hearted and funny, and will appeal especially to animal lovers. Ultimately, though, their story is fraught with tears as well as laughter, with defeat as well as victory--a bittersweet picture of life in the latterday West." "A lovely book: down home, funny, full of good lore and steller observations . . . full of sweet, and often raucous gems." 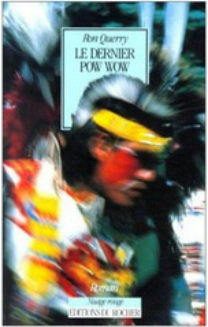 A novel of modern-day plague and timeless evil in the desolate landscape of the Navajo nation. The silence that surrounds this plague makes it even deadlier. Dr. Push Foster–himself a Native American–is forced to leave the laboratory, cross a cultural divide, and squarely face a dark certainty about “bad medicine” long held by the Navajo. "Ron Querry is a man who sees clearly and deeply into the landscape. 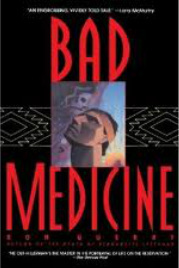 Bad Medicine is first of all a good story well told. But beyond that is an evocation of the Navajo world, one in which the canyons and cliffs and clouds are sharply defined and all the sounds of the ancient earth ring true." An anthology of Southwest writing. Essays and stories by the likes of N. Scott Momaday, D.H. Lawrence, Leslie Marmon Silko, Larry L. King, William Eastlake, Kirk Purcell, and Larry McMurtry. 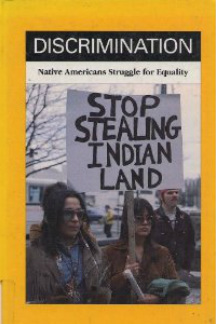 One in a series of books on the subject of discrimination of various ethnic groups. Aimed toward middle-school students, the publisher produced the book in mostly library binding.